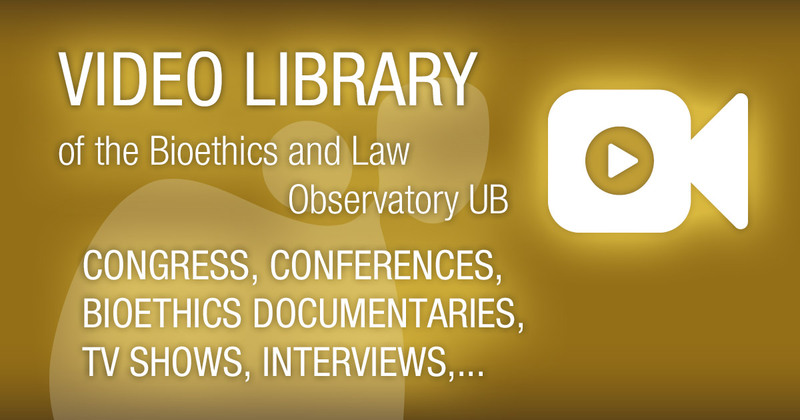 Welcome to the video library of the Bioethics and Law Observatory (OBD) of the University of Barcelona. Vídeo: Interview to the director of the documentary "Terms and Conditions May Apply"
"Terms and Conditions May Apply" is the documentary looking closer at the small print that accompanies user agreements, and how these contracts are used to manipulate users into signing away their rights. In this TV program they get the story behind the production with the director of the film Cullen Hoback. Florencia Luna coordinated the Conferences of FLACSO Bioethics Program - Argentina, where she interviewed Ruth R. Faden -Executive Director of Johns Hopkins Berman Institute of Bioethics (Johns Hopkins University, EE.UU. )- and Tom Beauchamp -Senior Research Scholar at the Kennedy Institute of Ethics; Professor of Philosophy (Georgetown University, EE.UU.). Video "What are pesticides and how do they get into our food?" Pesticides play an important role in maintaining yields of agricultural crops. However, the residues from pesticides can potentially be harmful to humans if they get into the food we eat. A pesticides expert at European Food Safety Authority (EFSA) explains the measures that are in place to reduce the risks. Video: Presentation of the "Document on Nanotechnology and Global Bioethics"
Opinion Group of the Bioethics and Law Observatory, University of Barcelona. Presentation of the «Document on Nanotechnology and Global Bioethics», developed by the Opinion Group of the Bioethics and Law Observatory of the University of Barcelona, on February 4th, 2011. This document is coordinated by Dra. Maria Jesús Buxó and Dra. María Casado.